Grandioso Festival Taurino – Stevinson, California – 2019! 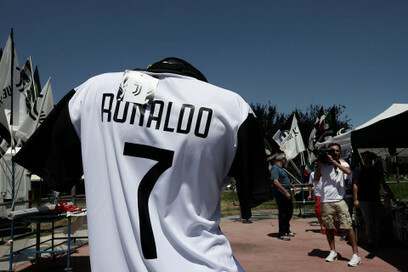 Since Juventus released Cristiano Ronaldo’s shirt on July 10, Bianconeri faithfuls have raced to the shelves, meaning the shirt has now basically sold out. Azores Multi-Sport Family Eco-Adventure Going On Now! Manteca, CA Hall: 230 North Main Street mailing: P.O. Box 781, Manteca, CA 95336 Phone No. 209-823-7084 Contact person: Darcy Goulart email: fesmcontact@gmail.com 6:30 p.m. Dinner $ 9:00 p.m. Dance with music by "Manuel Jacinto"
9:00 a.m. Distribution of “Sopas” until 12:00 p.m.
I.M.D.E.S. - Oakdale, CA 5748 Albers Road, Oakdale | Phone No. 510-206-3155 Saturday, April 27, 2019 10:00 a.m. Various Social Activities Sunday, April 28, 2019 10:00 a.m. I.M.D.E.S. Festa do Espirito Santo, "Sopas"
followed by Auction and Band Concerts. myluso.com is a free directory of Luso-communities with information about Portuguese and Brazilian Restaurants, Theater Groups, Clubs, Marching Bands, Social Organizations inclusive of Festas (Feasts) & Events, Portugal current events & Luso-global news!.